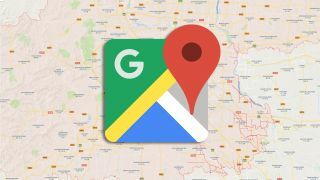 Fast becoming the default navigation tool of the modern world, Google Maps is constantly being refined in order to best guide you to your destination. The latest update adds yet another mode of transport to the app. Rolling out to 13 cities (listed below), Google Maps can now show you the location of nearby Lime electric bicycles or scooters – a company that offers the ability to briefly rent either of these vehicles for a nominal fee. The option to find a nearby Lime bike or scooter shows up much the same way that Uber does, appearing as an alternative option below your list of public transport options. It will also indicate how far away the vehicle itself is, how long the journey will take, an estimated cost of the trip, the estimated distance coverage remaining on the vehicle's battery, and the number of other Lime vehicles nearby. It’s no surprise that Uber and Lime have had similar treatment by the navigation app, considering Google’s parent company, Alphabet, has heavily invested in both ride-sharing services. There’s currently no word on whether other cities that have Lime services – such as Sydney, Australia – will be getting the Google Maps compatibility, but we’re willing to wager it will land in those regions in the coming months if the trial proves successful.